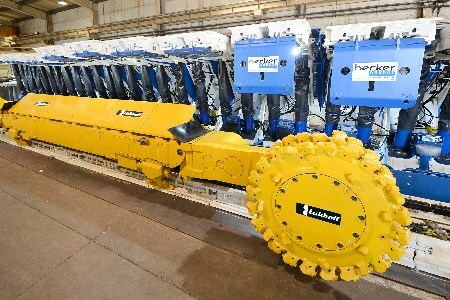 Eickhoff has sold two new shearer loaders to mines in Bosnia, the Bochum-based mining mining equipment maker said in a press release, boosting the number of its shearer loaders in the Balkans. The SL 300 shearer loaders join six existing Eickhoff machines in the region. One was recently delivered to Kakanj mine; the second will be deployed at the Raspotocje mine. Both mine coal for Bosnia’s largest electricity generator, Elektroprivreda BiH (EPBiH). Both contracts will be carried out by Eickhoff’s partner Becker Warkop of Poland, which is acting as the main project partner, delivering the full longwall set up. Bosnia’s coal mines have a patchy safety record with four miners killed last year at the Kakanj mine in a roof collapse. Following the incident, EPBiH pledged to fund modernisation progammes at the even mines it incorporates.